The budget for marketing the videos on YouTube is $20.00 per week per video. We are averaging 15 cents per view so each funded video should receive 133 views. If all 12 are funded we will average 1596 views a week. Full color digital ads were developed to fight against the internet sales tax in Mississippi. The campaign will end at the end of the 2017 legislative session. Over 200,000 people have seen our ads. 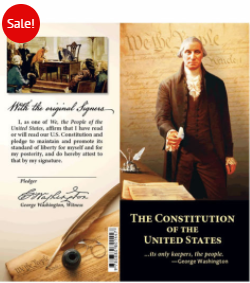 We will pass out pocket Constitutions and other Constitution Party of Mississippi information. Donations at the event should fund the remaining cost. Contact information will be collected and used to follow-up. 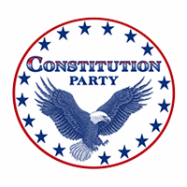 Pass out pocket constitutions to increase awarness and Constitution Party of Mississippi interest. 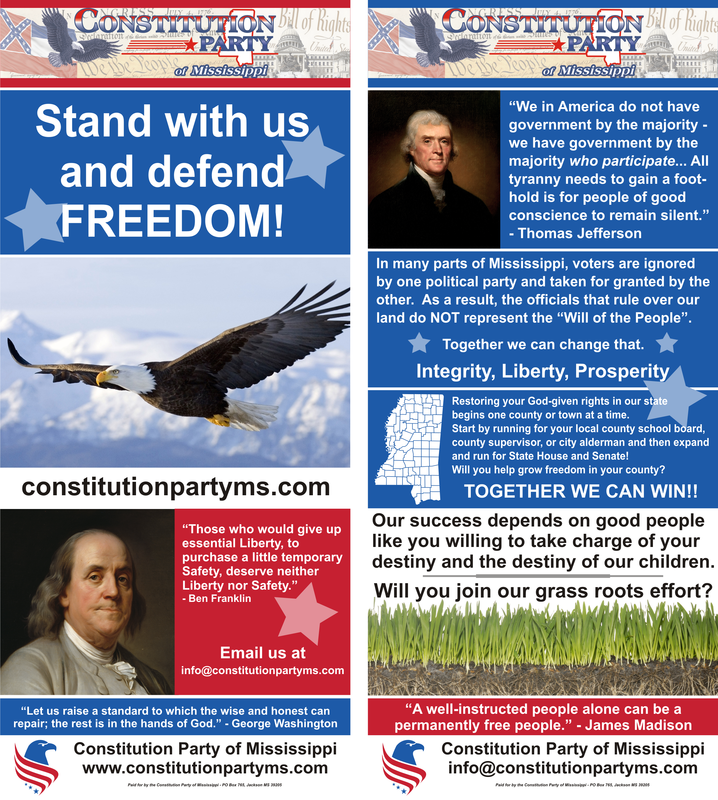 We need quality printed materials that we can pass out to those interested in supporting the Constitution Party of Mississippi.